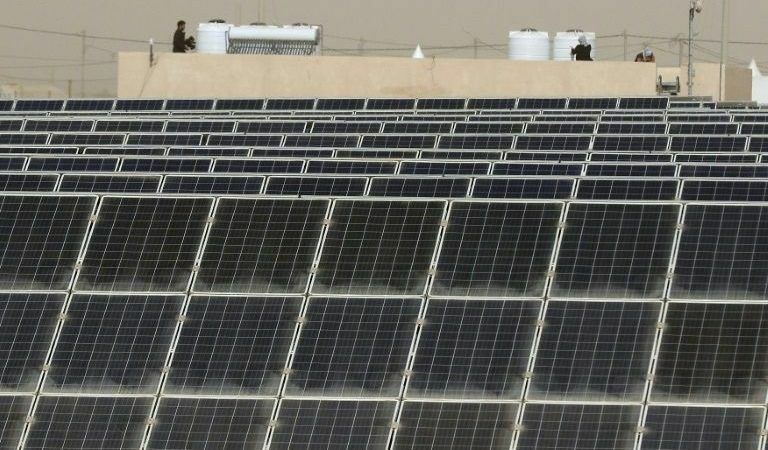 West Africa’s biggest solar power plant comes online on Wednesday (29 November) as Burkina Faso, one of the world’s poorest countries, inaugurates a novel scheme to boost renewables and cut energy dependence on its neighbours. The 55-hectare plant at Zagtouli on the outskirts of the capital Ouagadougou will be able to churn out 33 megawatts – enough to power tens of thousands of homes. Presiding over the opening ceremony will be Burkinabe President Roch Marc Christian Kabore and his visiting French counterpart Emmanuel Macron, whose country partially funded construction of the facility. “For the past six weeks the plant has been in a test phase with production of 14 MW, and will reach a peak of 33 MW during December, sufficient sunshine permitting,” said the site’s construction manager, Stephane Nosserau. “This is West Africa’s largest plant in terms of installed capacity,” added construction overseer Saidou Nana. The plant’s 129,600 260-watt solar panels are capable of annually pumping out 56 gigawatts – equivalent to 5% of current production – into the network of national power firm Sonabel, he said. “We import energy from Ivory Coast and there have been difficulties obtaining supplies at times,” said Nana. “That is why we decided with financial backers to provide Sonabel with a source of energy from photovoltaic panels to respond to the public’s needs, which are growing at an annualised 13%,” he explained. The added power will help reduce power shortages, said Nana, which greatly hamper the economy. Burkina Faso produces only about 60% of the electricity it consumes – and just 20% of the overall population is hooked up to the grid. Many people use wood or butane gas bottles. The €47.5-million cost of the plant has been funded via €25 million in donations from the European Union and a loan of €22.5 million from France’s development agency. Cegelec, part of the French firm Vinci Energies, built the facility, designed to be a pilot scheme. “With the financing terms that we have, the price per kilowatt-hour is considerably cheaper than for thermal production, which will allow us to reduce operating costs within Sonabel,” Nana said. Energy produced by the Zagtouli plant will cost some 45 CFA francs (seven euro cents) per kilowatt-hour. That is around a third of the 145 CFA francs per kilowatt-hour it costs to produce electricity at fossil-fuel plants, according Sonabel’s operations manager, Daniel Serme. Zagouli’s capacity is dwarfed by some of the behemoths emerging in the fast-growing sector of sun-powered energy. The world’s biggest solar plant is a 648-MW facility in Kamuthi, in India’s Tamil Nadu state. 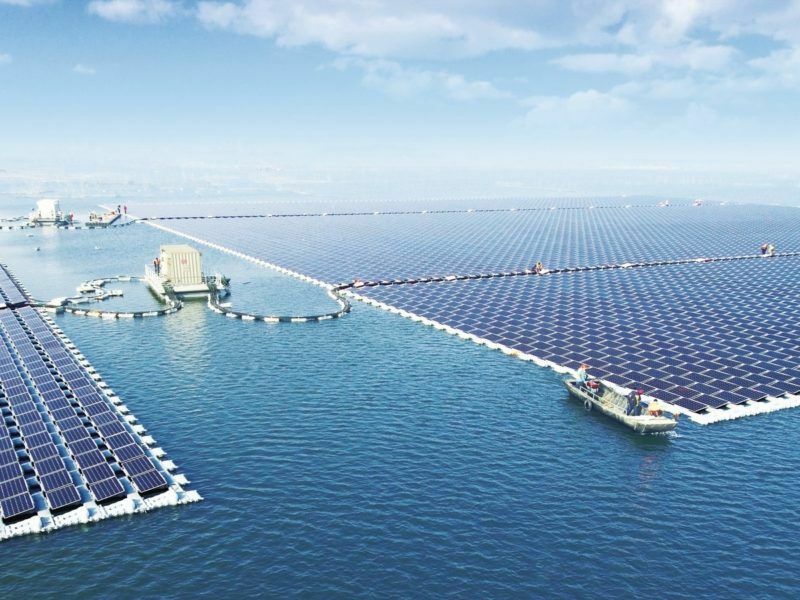 A 40-MW solar plant on a lake over a collapsed coal mine in Huainan, China, is the largest floating solar-powered generator globally. Despite such comparisons, Burkina Faso has big ambitions. Located in the Sahel belt on the rim of the Sahara, the country has sunshine aplenty. It hopes to meet 30% of its electricity needs from photovoltaic solar panels by 2030, and – maybe one day – become self-sufficient in electricity production. Ghana, as well as Ivory Coast, export electricity to the landlocked country to meet its needs. 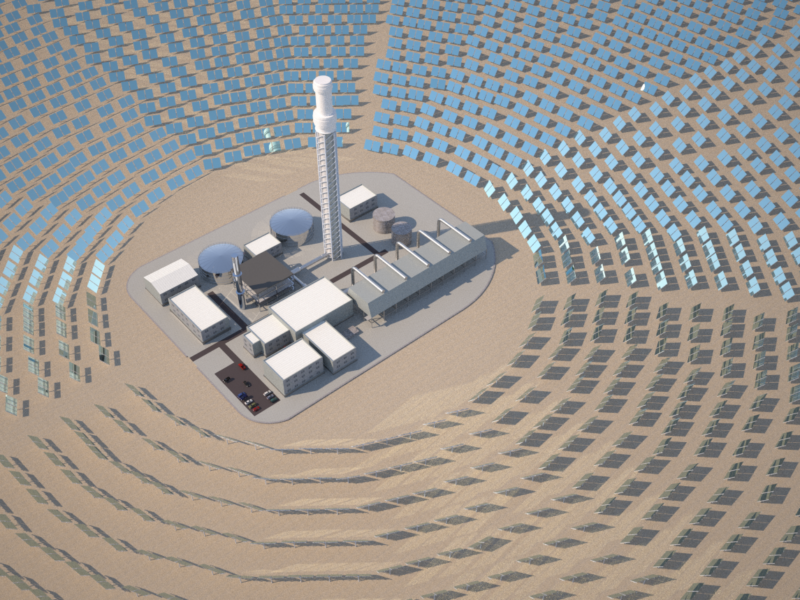 A 17 MW extension is already being planned at the Zagtouli site to take overall production capacity to 50 MW. Other schemes in the pipeline include two solar plants, one further west at Koudougou (of 20 MW) and a 10 MW version at Kaya, northeast of the capital, Nana said.